Just in time for the fall native plant sales (See sidebar), ARMN volunteer Kasha Helget shares some of her favorites for landscaping. I grow a number of native plants in my yard, but there are some real standouts that deserve special recognition. 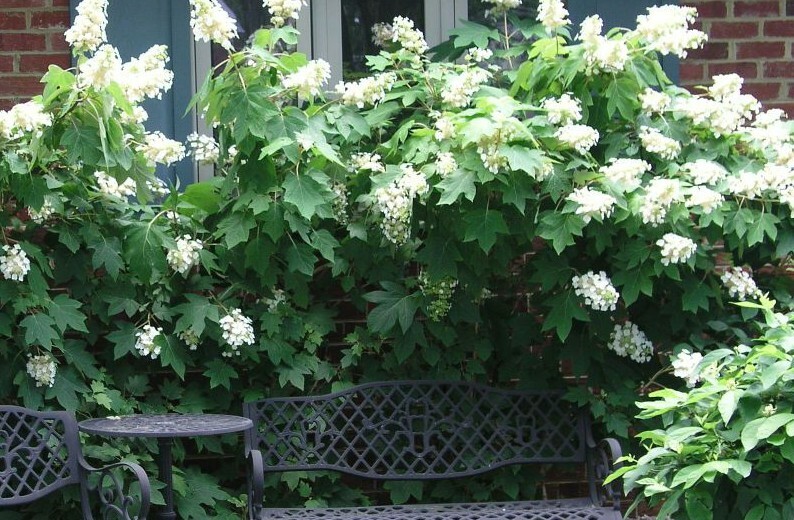 Here are five each of shrubs and perennials and the features that make them real stars. Clethra alnifolia (Summersweet) is a good foundation plant to place near an entrance because of its fragrant blooms. It can grow tall or be pruned to be shorter (after the bloom period). It has nice structure even without leaves in the winter. It can handle average moisture conditions and does well in part sun. Hydrangea quercifolia (Oakleaf Hydrangea) has wonderful year-around interest. First are the big white blooms in spring that smell terrific, and that later become pinkish, and then tan. Even when foliage drops in fall, the dormant flowers look good. It’s a good screening plant even with no leaves. It prefers part shade and average moisture. Hypericum frondosum ‘Sunburst’ (St. John’s Wort) is another year-around favorite. It is fast growing, which makes it a good border plant. Its beautiful yellow blooms in spring are a magnet for a variety of bees. It’s a behaved self-seeder, and benefits from pruning after flowering. It can handle average moisture and full to part sun. Itea virginica (Virginia Sweetspire) is a very versatile woody. It can take sun or part shade, and can handle moist or fairy dry conditions. It’s a moderate spreader (suckers) that are easily controlled or can be rooted as new plantings. 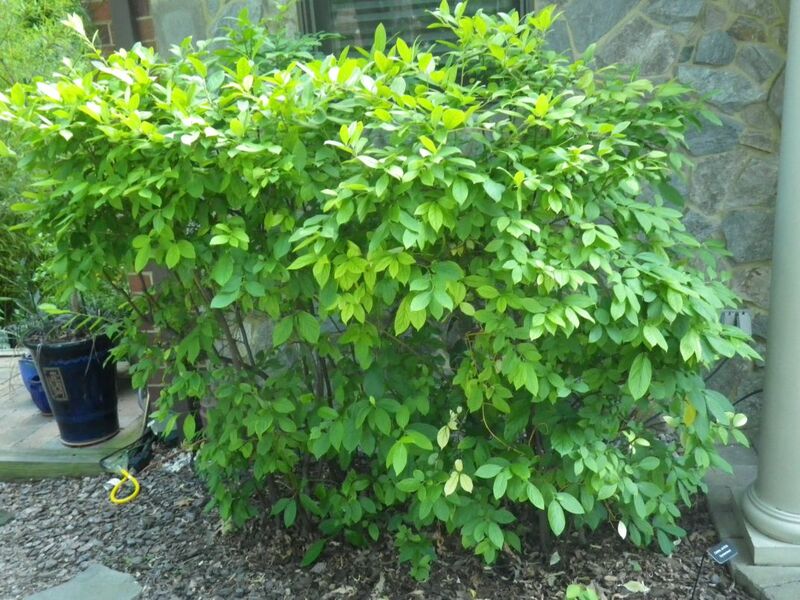 It’s a great foundation or screening shrub. 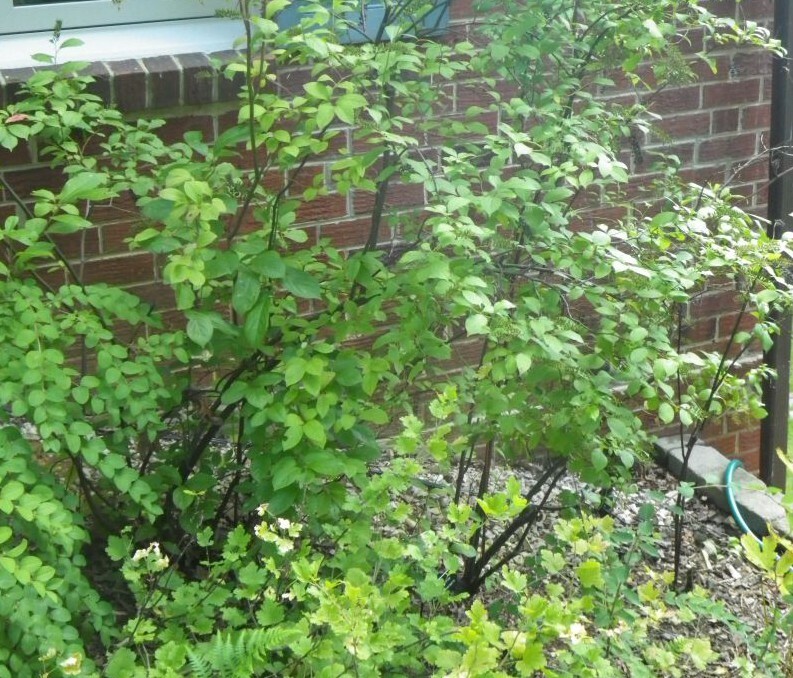 Symphoricarpos orbiculatus (Coralberry) is even more versatile than the Itea virginica. It has beautiful foliage all year; great “coral” colored fruit in the winter, likes both shade and sun, can handle dry conditions, its runners are easily transplanted, and it can hold soil on a hill. It doesn’t grow very tall, which makes it a good foundation plant for low windows. While it can get powdery mildew, it can be prevented easily with a baking soda/dish soap/water spray. Wildlife: Birds (berries); butterflies, moths, and bees (flowers). The dense thickets can provide nest sites. 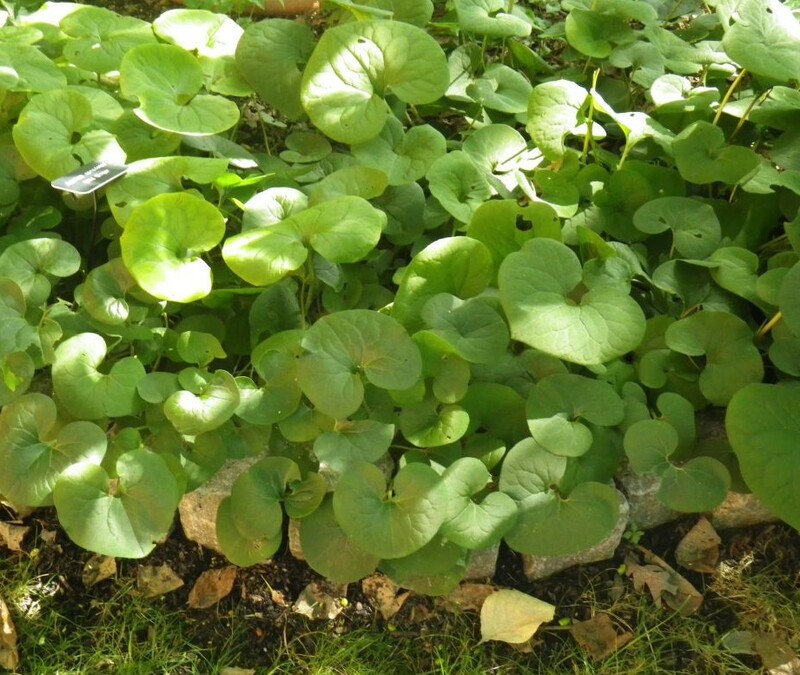 Asarum canadense (Wild Ginger) is a great shade (even heavy shade) border plant that likes a moist environment. It can handle erosion and deer leave it alone. It self-seeds and is easy to transplant. It has interesting fruits hidden under the foliage. 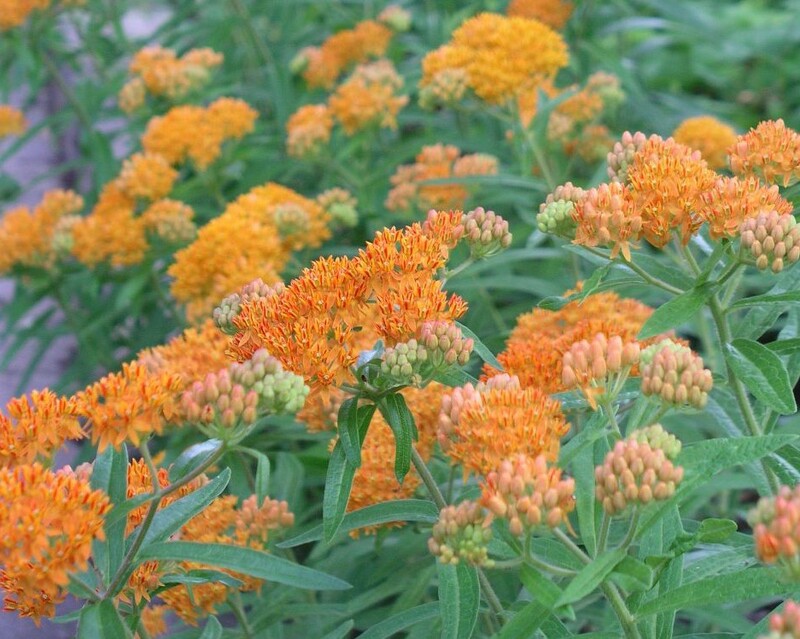 Asclepias tuberosa (Butterflyweed) is a great season-long entertainer from its initial foliage to bright orange blooms to pods that burst with seeds. It is a magnet for butterflies at all stages, is the host plant for monarch butterfly larvae, and for the really interesting-looking butterflyweed bug on the pods. It self-seeds; can be transplanted but only when the plant is fairly young. It likes average water and full sun. Wildlife: Bees, nectar source for many butterflies, leaves are host plant for monarch butterfly larvae, milkweed bug. 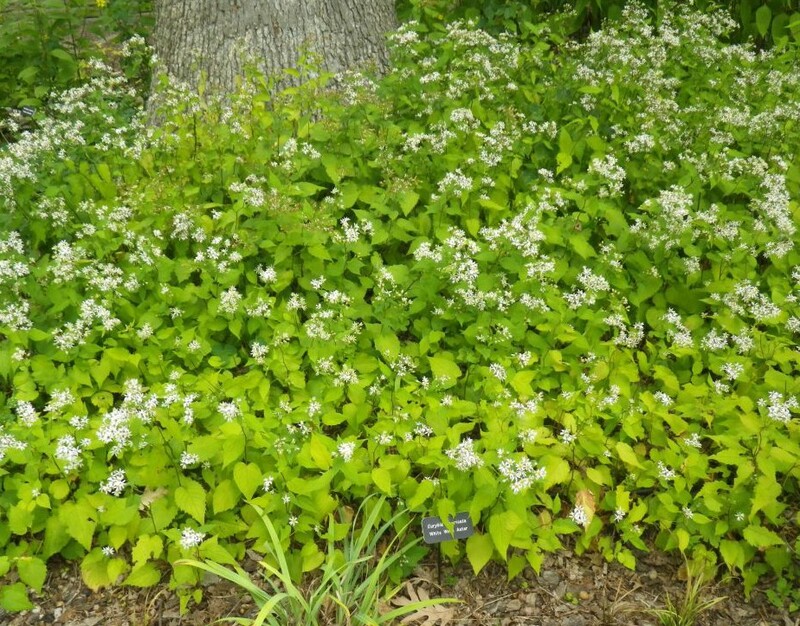 Eurybia divaricata (White Wood Aster) is another versatile winner. It can handle most conditions from part sun to pretty heavy shade, and dry conditions once established, including a dry hill. It’s a fairly active spreader, so is good for naturalizing. 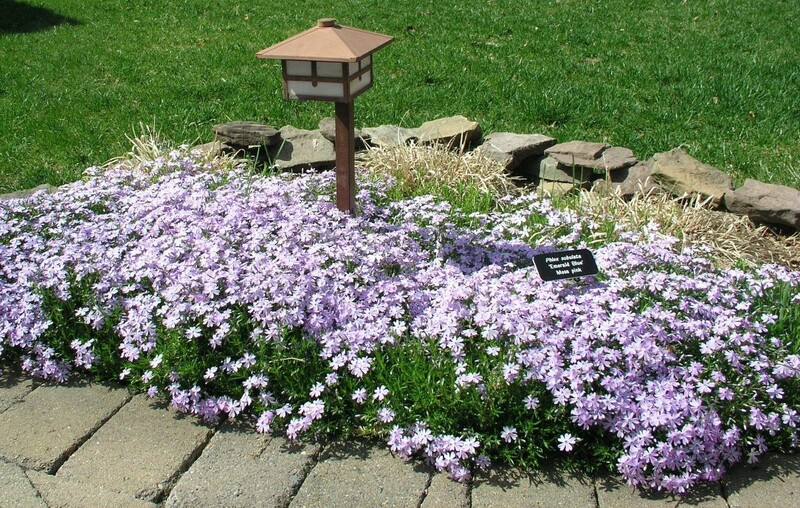 Phlox subulata ‘Emerald Blue’ (Moss Pink) is a wonderful groundcover with year-around interest. It likes full sun and is a long bloomer early in the season. The foliage looks great all summer and it can handle hot and dry conditions. 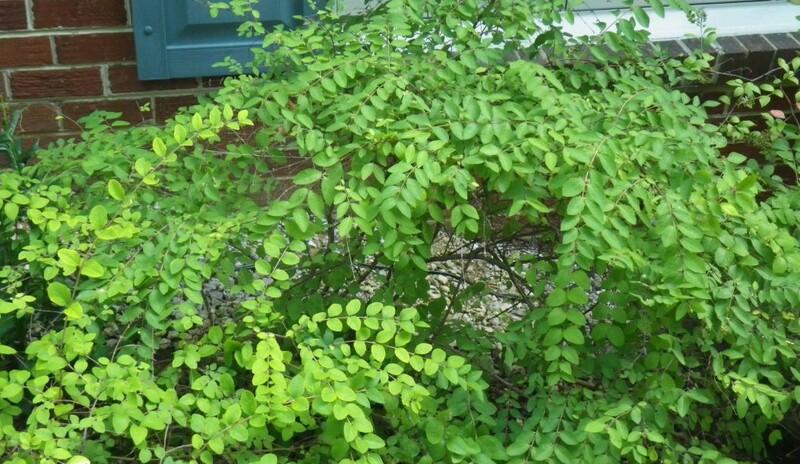 It is evergreen and turns a lovely reddish color in the winter. 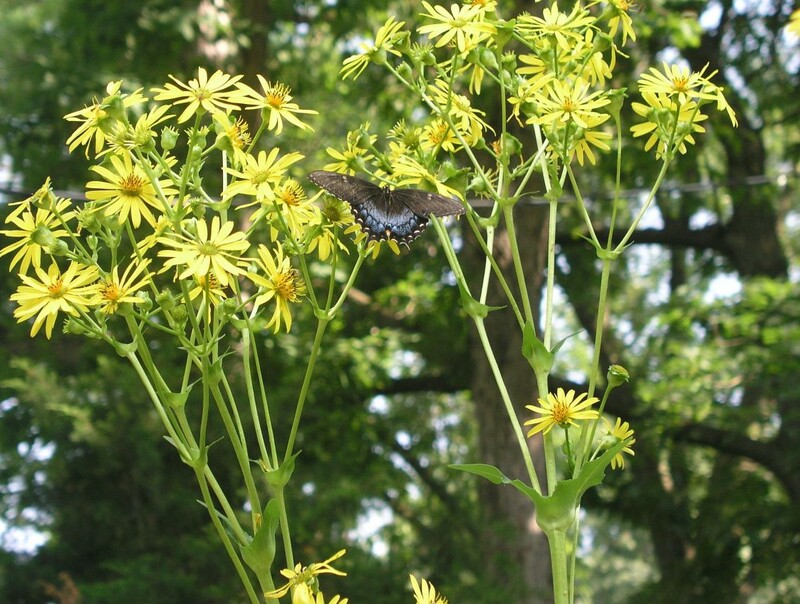 Silphium perfoliatum (Cup Plant) can grow very tall—6 to 7 feet in the sun. It has long-blooming yellow flowers in early summer that are clustered in a nice “crown” on top. The foliage is very interesting and forms a “cup” encircling the stem that can hold water for birds and butterflies. 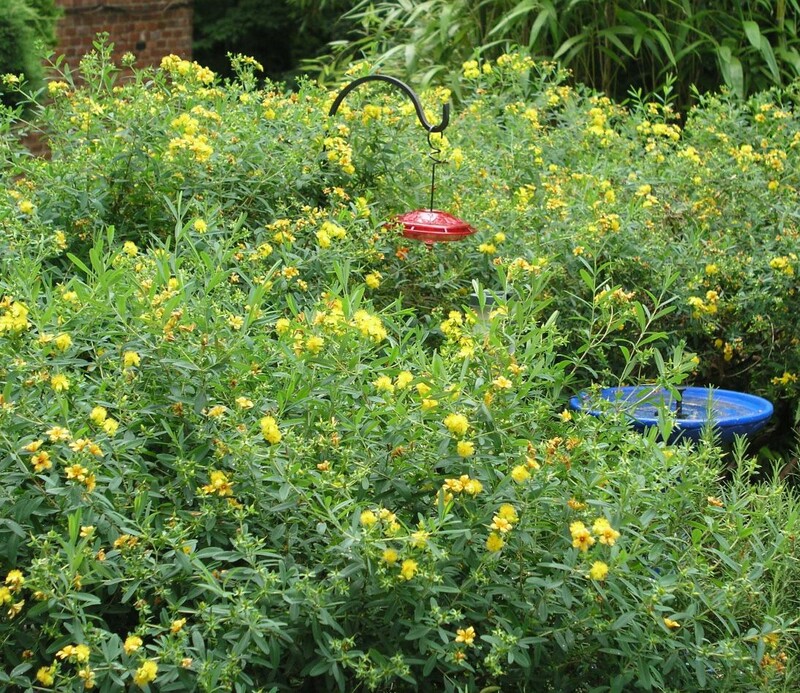 Wildlife: It is a total MAGNET for bees, butterflies, and finches—probably the most heavily visited plant in the yard. This entry was posted in Audubon At Home, News by howellch. Bookmark the permalink. Thanks Kasha for this informative post! The helpful details you have provided are perfect for those who want to use natives and also have a beautiful, landscaped garden!